Humans love to travel because we’re excited for what waits ahead, especially when we can share the excitement with our furry friends. But travel can be frightening for animals, who have no way of understanding what’s happening to them. It takes special care to travel with a dog, but with these tips, even your pup will enjoy his vacation. If you have to take Fido out of town, driving is the easiest way. You’ll need to pack the basics, including food, clean water, and travel bowls, as well as poop bags, an extra leash, and toys. Treats can reward good dogs in the car and entice them back in after potty breaks, which he’ll need every three or four hours while driving. Make sure Fido stays cool and comfortable in the car, and never leave him alone in the vehicle. Airplane travel can be terrifying to dogs if they are not well socialized. Avoid air travel if possible, but plan early if Fido must come along. Determine whether your airline requires him to ride in cargo or in the cabin. We highly recommend you never place your french bulldog in cargo. Each airline will have its own requirements for pet travel, including health certificates from veterinarians. Foreign countries also have different vaccination requirements, so you’ll need to do some research. If you should fly with your dog, you will be required to purchase a soft sided, airline approved crate ro bring him/her on board. Fido should view his crate as a safe place prior to travel day to make the experience less frightening. If you’re staying in a hotel, make sure it’s pet-friendly without size or breed restrictions that could affect your dog. Keep him as quiet as possible and never leave him alone in the hotel room; even light-to-moderate barkers like French bulldogs could become anxious. Always pick up after your dog, and be respectful of other guests, the hotel staff, and the property. If you’re looking for a travel companion, a French bulldog may be the right dog for you. Their loveable nature makes them wonderful pets for the whole family, and they’re relatively easy to train. Whether you’re interested in a young puppy or an adult male or female, Lindor French Bulldogs can help you find your travel buddy. As an AKC registered breeder, we’ll learn the specific qualities you’re looking for in your French bulldog so we can provide you with a beautiful dog. 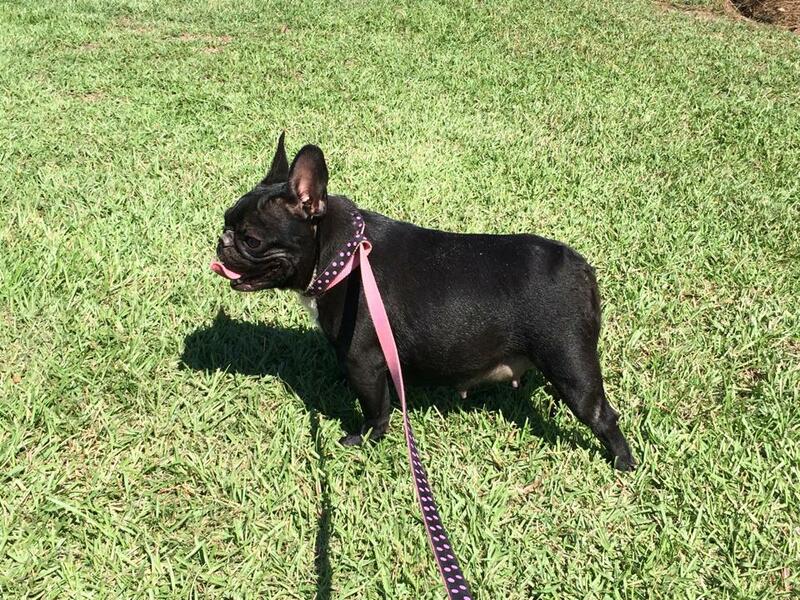 Call Lindor French Bulldogs today at 904.574.7644 to learn about our available Frenchies!